If you've got a pressing financial concern and money in your 401(k), you may be tempted to take the cash out by taking a 401(k) loan. After all, the money is just sitting there, you'd be paying interest to yourself if you took out the cash, and you may have plenty of time to put the money back before retirement. While it can theoretically seem like a smart financial move to use that money to pay off high-interest debt, put down a down payment on a house, or fulfill another immediate need, you should resist the urge and leave your 401(k) cash right where it is. The money already has a job -- helping you afford food, housing, and medicine when you're too old to work -- and the only reason you should ever take it out is for a true life-and-death emergency. 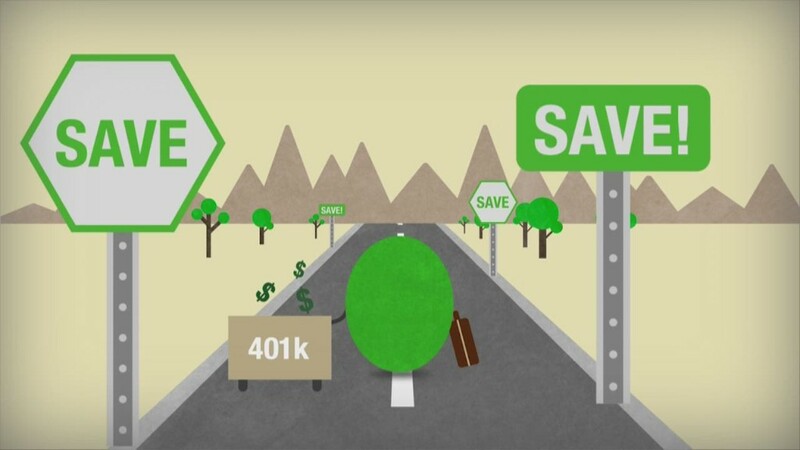 Here are four big reasons why you should leave the money in your 401(k) alone so you don't have major regrets later. When you take a 401(k) loan, you typically must make payments at least once per quarter and must have the entire loan repaid within five years, although there are exceptions such as a longer repayment period if the money you borrow is used as a down payment for a primary home. If you are not able to comply with the repayment rules, the entire unpaid amount of the loan becomes taxable. Plus, if you're under 59 1/2, you will not only have to pay federal and state taxes on the money you withdrew but will also have to pay a 10% penalty for early withdrawal. Depending upon your federal tax bracket and state taxes where you live, your total tax bill could be around 40% or more of the amount withdrawn; for example, if you were in the 25% federal tax bracket, paid 8% California state tax, and paid a 10% penalty for withdrawing money early, you'd owe 43% in taxes. If you borrowed $10,000, the government would get $4,300 and you'd be left with just $5,700. That's a really high effective interest rate -- so you're taking a big gamble that you'll be able to make all the repayments without a hitch. When you leave your job and you have an outstanding 401(k) loan, you typically have to pay the loan back right away or your employer will alert the IRS and taxes and penalties will be triggered. The specific length of time you have to pay can vary from plan-to-plan, but 60 days is typical. This means that unless you have the cash, you're left with a choice between sticking it out at your job until you've repaid the entire balance -- which could take years -- or paying a hefty sum to the government. You could be forced to forego career opportunities to avoid the tax hit... assuming you actually have a choice about whether you leave your job and don't get laid off first. If you are let go, you'll still be forced to repay the loan or pay taxes. This could mean coming up with a lot of cash right when you've lost the income that your job was providing. When you have money invested in a 401(k) and you take a loan against your account, the money for the loan is typically taken out in equal portions from each of your different investments. If you're invested in six different funds, one-sixth of the value of the loan would be taken from each. During the time that your money is pulled from your account, you're not making any investment gains. If you took a $10,000 loan from your 401(k) 20 years before retirement, took five years to repay the loan at 5% interest and were earning 8% on your investments, you'd lose about $2,625 in earnings, assuming you repaid the loan on time. Of course, you could lose much more (or much less) depending upon the movement of the market. If you took a 401(k) loan during the financial crisis in 2008 and sold all of your investments when they were way down because of the market crash, you'd likely have had to buy back your investments at a much higher price and would have missed out on much of the market recovery. And, of course, there's also a risk that you won't put the cash back at all... which could end up costing you decades of compound interest and which could result in that $10,000 loan having a price of more than $62,000 by the time you reach retirement age, if you took out $10,000 20 years before retiring and never paid it back. When you repay the money from a 401(k) loan, you do so with after-tax dollars (rather than with pre-tax money, like with your individual contributions). When you take the money out of your retirement account as a senior, you're taxed because no distinction is made between the pre-tax contributions you made to the account and the after-tax loan repayments. You're forced to pay taxes twice: once when the money went in and once when it come out -- which can cost you thousands. To make matters worse, interest on a 401(k) loan isn't tax deductible, so if you're borrowing money toward a house or if you've taken cash out of a 401(k) to repay student loans, you're not even getting a mortgage interest deduction or taking advantage of the tax deduction for student loan interest that you would likely otherwise be entitled to take. You'll also have to pay fees, in most cases, to take a 401(k) loan. These fees can be higher than the costs associated with a conventional loan. By the time you factor in the fees, consider the double taxation, add up the investment gains you'll miss, and assess the risk of a big tax penalty if you can't pay the loan back, it's clear why there are many reasons to avoid a 401(k) loan and come up with another solution if you need cash.